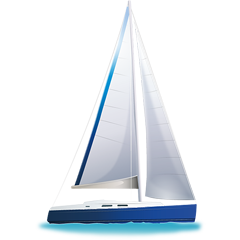 Bana Bioletta5 is a name of boat Sun Odyssey 469 ,which has been built in 2015. You can rent this yacht from base Lefkada in surrounding area of Ionian Sea. Bana Bioletta5 is equipped with 10 beds. Beds on the sailboat are arranged in 10 (8+2) layout. 4 cabins are placed inside the boat Bana Bioletta5. Look for different boats in this section: Yacht charter Ionian Sea. Guests can feel satisfied on this vessel , because there are 4 toilettes for their disposal. Bana Bioletta5 is driven by motor 55. On the yacht there is following equipment: Plotter gps in cockpit, Gps plotter, Autopilot, Anchor electric windlass, Dinghy, Bimini top, Bow thruster, Radio / cd player, Furling mainsail. . Nonrefundable caution is 2500.00 EUR. In our search engine you can quickly check avalailability of sailboat Bana Bioletta5 from Lefkada in this section: Yacht charter Greece.